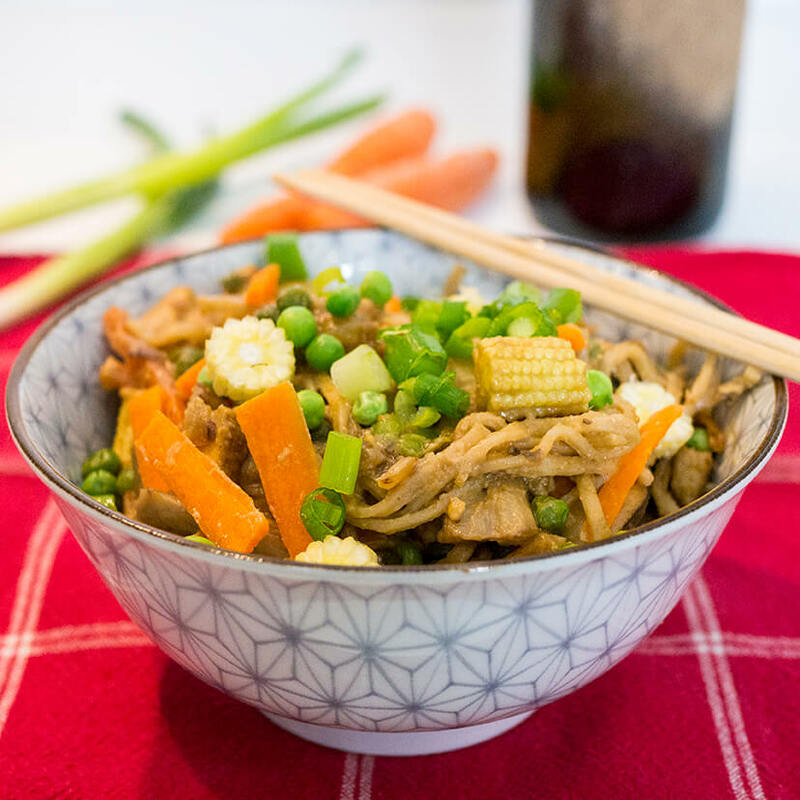 Sometimes the quickest recipes are really the best and these vegan Chinese veggie noodles prove it. They are super delicious, healthy and high in protein! Perfect for when you don't have much time to cook but still want something that tastes amazing and is good for you. One of the things I love most about this recipe is that you can also mix it up using different ingredients every time you make it. So it totally lends itself to using leftovers. For example you could add broccoli, courgettes, peppers or even sweetcorn to it. I am trying to stay away from food that's too spicy but you can also add scriracha or chilli sauce if you fancy. Let me know in the comments which ingredients you used. This recipe literally only takes 10 minute to prepare! It's one of my staples if I feel lazy or under time pressure. You can also add your preferred veggies like broccoli or bean sprouts. The whole recipe was so quick to make, even filming only took me just over an hour, which is unusual. Tuck in! You can use all different kind of noodles, like soba, rice of wheat noodles. Peel the carrots and then slice finely. Sauté in the onion, mushroom and tofu in sesame oil until the onion has softened. Then add the sliced carrots, 100g of frozen peas and some baby sweetcorn, the juice of 1/2 lime, 3 heaped tbsp of peanut butter, 3-4 tbsp of unsweetened soy sauce (to taste) and 1 tsp of minced garlic. Cook for a few of minutes on high heat. Stir in the cooked instant wheat (or rice) noodles and garnish with chopped spring onions. And if you like recipes that take minimum effort also try my easy quinoa bake with tahini sauce.